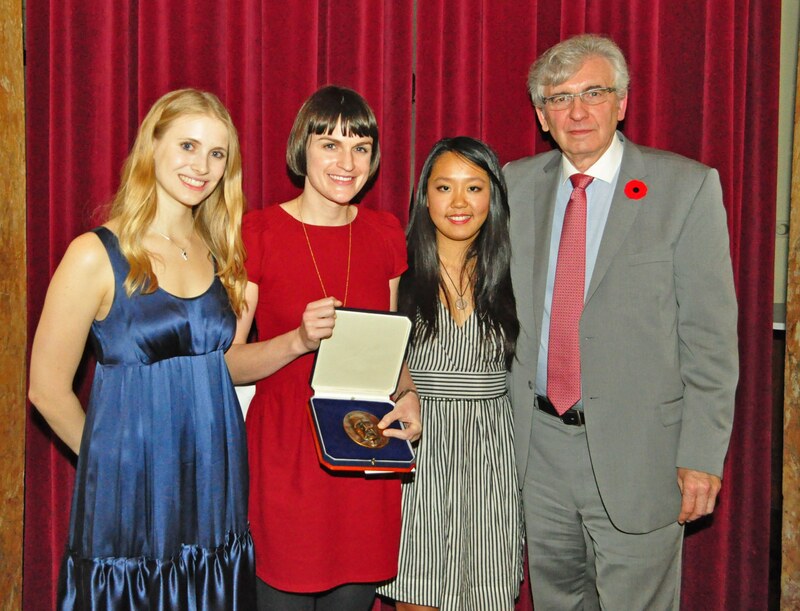 In 2013 the Board of Curators of the Osler Library of the History of Medicine together with the McGill Medical Students’ Osler Society launched an essay contest and invited medical students to explore the historical, ethical, social and humanistic side of medicine. Twenty students submitted proposals and were matched with mentors drawn from the Library’s Board of Curators or elsewhere. Eight students submitted 3,000 word essays and short reflective pieces, from which three finalists were selected and presented their research on Osler Day, November 6th, 2013. First prize: Jennifer Pors for her essay Blood Ties: A History of Blood Transfusion. Her mentor was Professor Faith Wallis, History Professor and member of the Board of Curators. 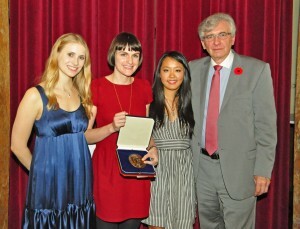 She received the Osler Board of Curators’ Medal and $1,000. Second Prize: Julia Hickey for her essay The Predominance of Osler’s Humanism in the Practice of Palliative Care. Her mentors were Mrs. Eve Osler Hampson, a member of the library’s Board of Curators, and Dr. Thomas Hutchinson of the McGill Programs in Whole Person Care. She received $500. Third Prize: Susan Mengxiao Ge for her essay Observation: The Importance of Art in Medicine. Her mentor was Dr. Jonathan Meakins of the Board of Curators. She received $250. You can read the three finalists’ essays and their reflective pieces on the Osler Library website. This entry was posted in News and tagged Osler essay contest, Osler medal, Osler society by Christopher Lyons. Bookmark the permalink.